Thermo Shandon Pathcentre Organized Load Tissue Cassette Basket Sample 75210192 . New Life Scientific, Inc. Stainless Steel wedge section organizer basket for a Shandon Pathcentre. This is a multi-section, 2-tier basket, and lid. 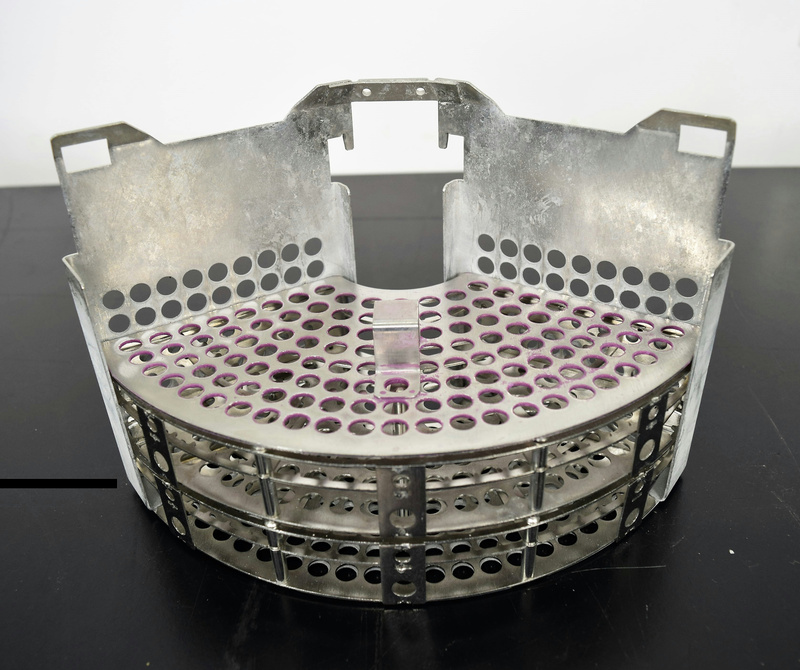 The basket has signs of wear and previous stain, but appears to be complete and ideal for tissue sample applications.